New York, Nov 7 (IANS) All the four Indian-American Democrat members of the House of Representatives were re-elected in Tuesday’s election and a member of the community won the Attorney General’s position in Wisconsin state. Together with the only Senator of Indian descent, Kamala Harris, they make up what they themselves jokingly call “The Samosa Caucus,” Harris won from California in 2016 did not face a re-election as she has a six-year term. 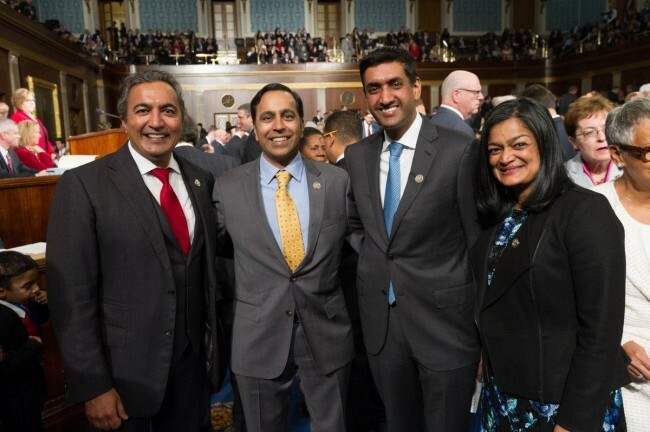 The database also showed that six Indian-American Democrats had been elected to State legislatures for the first time.